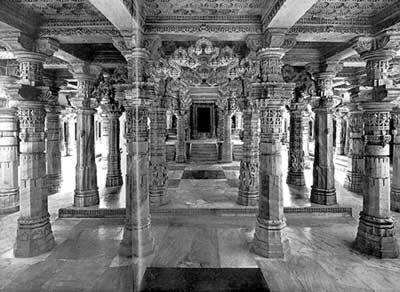 The traditional Indian architecture is extremely simple and straightforward. 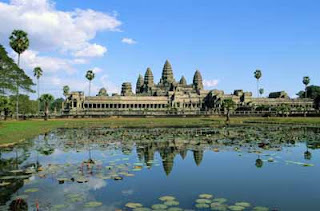 The simple techniques of construction were utilized to build some of the glorious and magnificent buildings that have withstood the test of time. Structural elements like columns and beams were carefully integrated within the buildings to meet the needs of religious and cultural traditions. 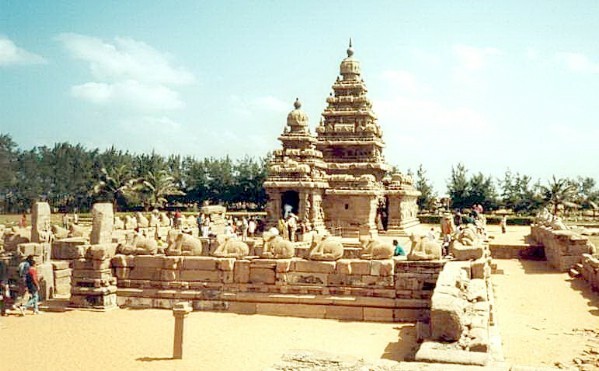 The vast freedom available to the sthapaka and sthapathi in the design of temples and other spiritual buildings resulted in the development of overwhelming wealth of architectural elements, variety of sculptural forms and decorative exuberances that has become the everlasting symbol of Indian Temple Architecture. 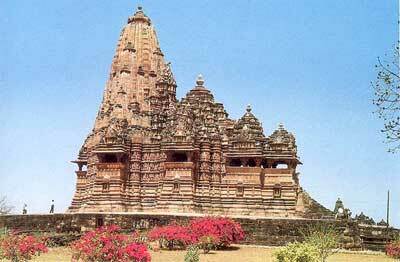 The shikhara remains the most outstanding element of the temple and the gateway is usually modest. 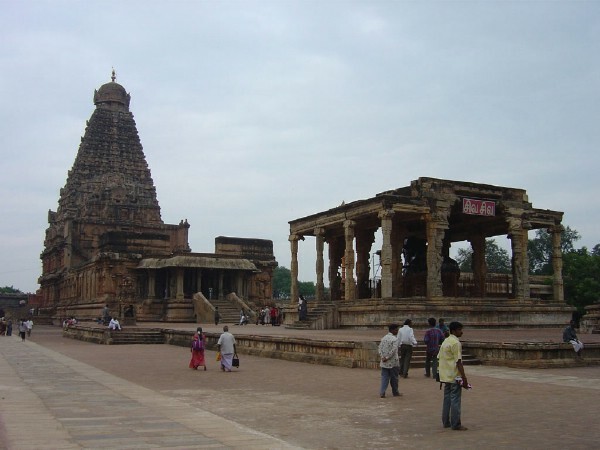 The prakaras or the walls surrounding the garbha griha were built around the whole complex and were oriented to the cardinal directions. 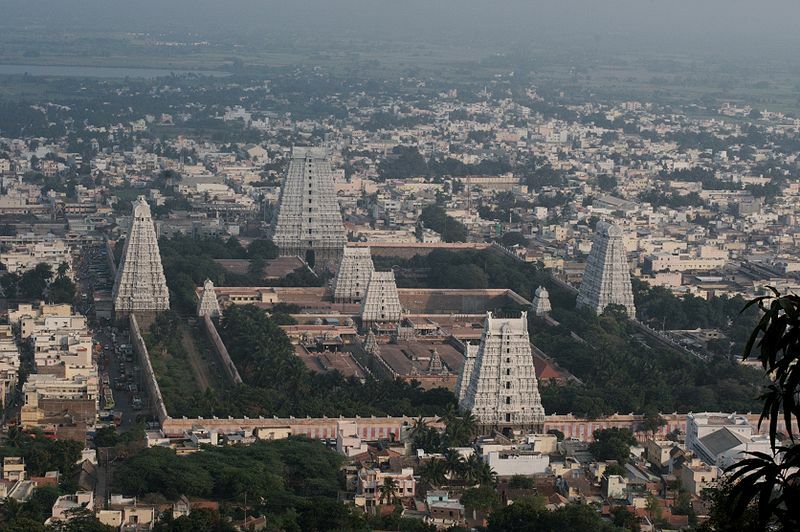 These enclosures had elaborate and magnificent gateways (gopurams) that led the devotees into the sacred courtyard. Even the most worshipped and sacred Sri Chakra or Meru Chakra in hindusim is pyramid shaped. 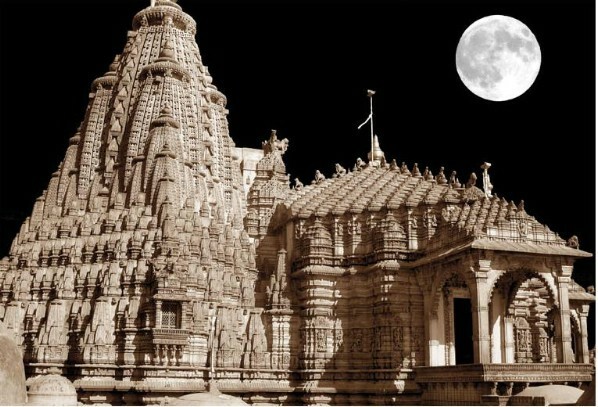 A temple is the seat of divinity and is also a sacred institution that aims at giving mental and physical solace to the devotee. 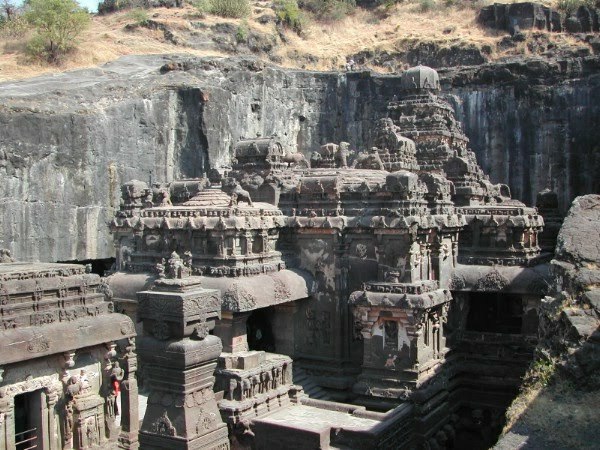 The Garbhagruha (Garbhagudi) or sanctum sanctorum encompasses the center or the nabhi of the superstructure. From the square shape of the Garbhagruha to the final (which is a point) is the shikara. This curved form is identified in modern times as the pyramid. 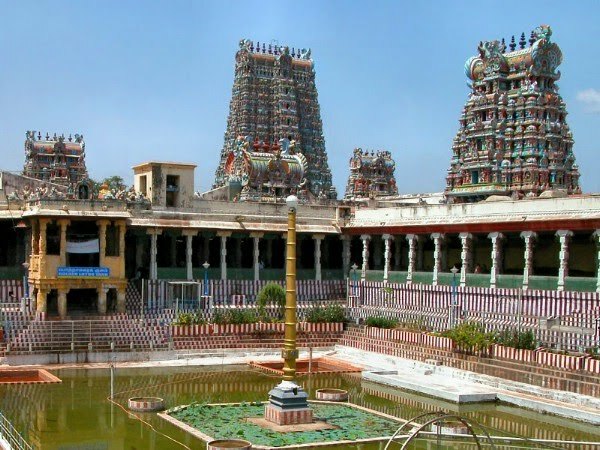 The shikara normally refers to the superstructure of the sanctum sanctorum and is the most important part of the temple. The pyramidal superstructure has a number of storeys. The shikara can be a square, circular, hexagonal (6 sides) or octagonal (8 sides). 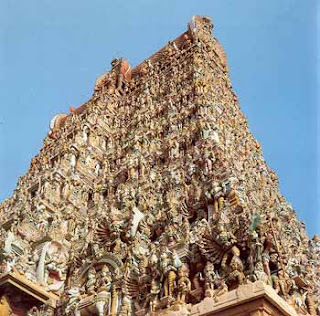 The vertical growth of Shikara is also sometimes used to designate the whole superstructure of the temple. 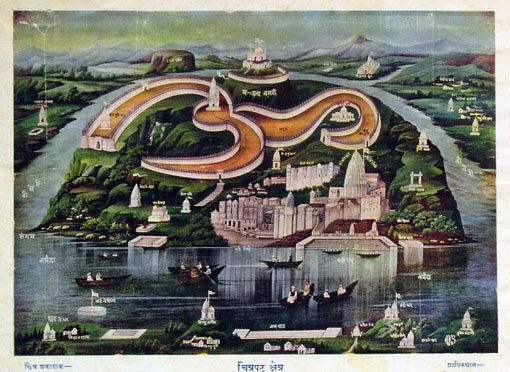 The term Shikara is frequently mentioned at several places in the great epics Ramayana and Mahabharatha when referring to the ‘Prasada’ or temple. 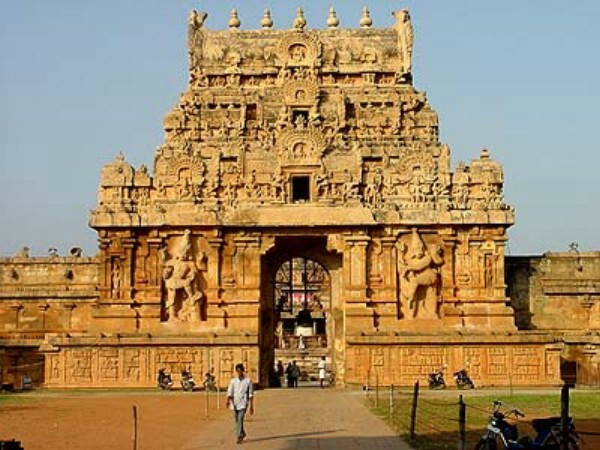 While the shikara generally refers to the curvilinear vertical growth of the sanctum sanctorum, the gopurams or gate towers refer to the gateways to the various enclosures and a temple. These are also pyramid shaped and the cross-section is reduced as they go up. 2 Enclosure surrounding each storey. 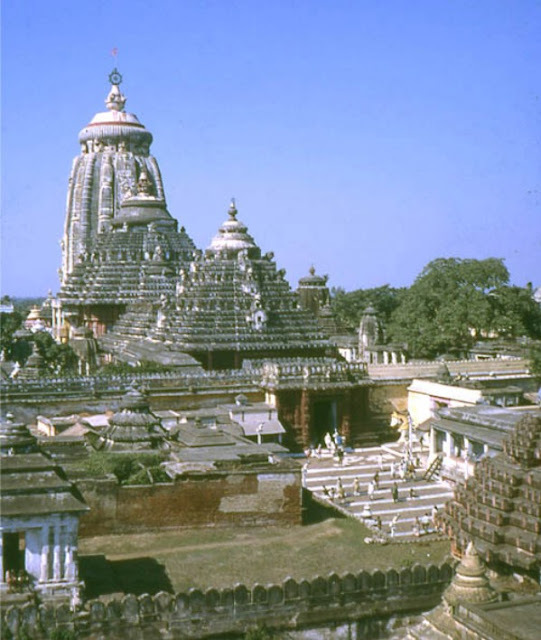 In certain temples the shikara is formed by placing a flat roof on four pillars. Another slab is placed over the shikara. Slab upon slab diminishing in size as they go up are placed one above the other, topped by a perforated ring stone, known as the amalaka, forming a step pyramid. The added weight of the slabs keeps the roof in position. Many a time an upper chamber for the shrine was introduced for greatly reducing mass and weight. gopurams, also have pyramid shaped roofs with diminishing tiers as they go up, with the outermost enclosure referred as mahamayada. The immediate enclosure around the garbhagriha, known as the Prasada towers above it like a pyramid with diminishing tiers and is also known as the shikara. 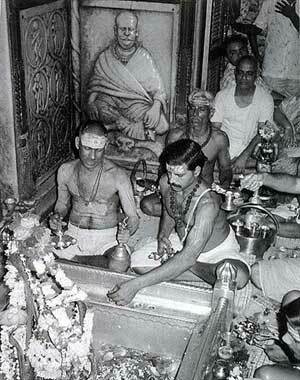 The celestial power drawn through the shikaras gives the deity effulgence and metaphysical power. The shikara apart from being a roof for the sanctum sanctorum is also a symbol of divine sanctity giving significant emphasis to the garbhagriha and the principal deity of the central divinity. The top of the shikara tapers to a finial and is known as the kalasa or stupika. 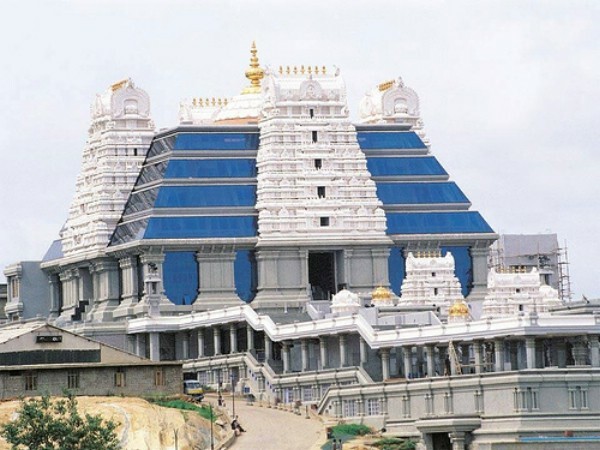 One of the learned writers on Temple architecture says that the height of each storey of the pyramidal superstructure diminishes in arithmetical progression, being one-fourth or one-third less than the lower storey, the ground floor not being included. Pyramids are synonymous with Egypt. 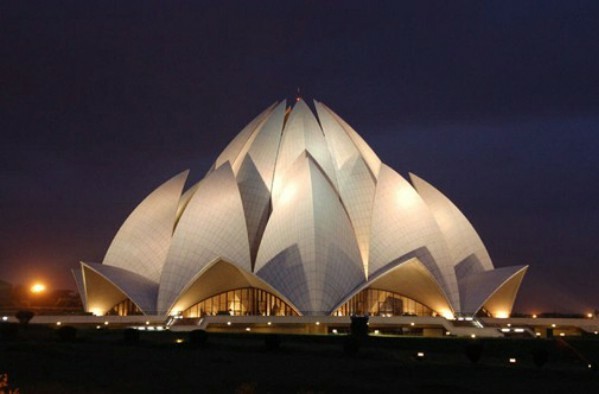 In recent times these structures with four triangular sides standing over a square base have entered the domain of Vastu and are being prescribed for many of the imbalances of a building – residential or business. Egypt is a land of pyramids and we have Egyptologists and pyramidologists doing research and throwing light on the antiquity and mystery surrounding them. Egyptologists are archaeologists who specialize studying the ancient Egyptian artefacts. The term pyramid is derived from the Greek words pyra meaning fire, light, or visible, and the word midos meaning measures. It is also translated to mean fire at the center. This word perhaps denotes the great hidden power of these structures with a square base and four triangular sides that rise upwards to a finial. Even though Egypt is synonymous with pyramids, we find them in other parts of the world such as China, Mexico, Spain, France, Siberia, Central America, Greece, Cambodia and other countries. The pyramids of Egypt are traced to at least 4000 years back. The Giza pyramids of Egypt date back to about 2500 B.C. The Giza pyramids are generally identified with three major pyramids – Pyramid of Cheops (Khufu) or the Great Pyramid, the pyramid of Chephren (Khafu) and the pyramid of Mycerinus (Menkaure). This apart the area spread over thirteen acres of land has six or more smaller pyramids. A remarkable feature of the Giza pyramids is that they are aligned with great precision to the cardinal directions. The lengths of the four sides of the base of the Great Pyramid are amazingly equal measuring an average of 755.5 feet. The great pyramid, known as the eighth wonder of the world is said to have been built over a period of several decades using 2.3 million limestone bricks weighing an average of two and half to fifteen tons each. It rises up to a height of 481 feet. Several theories are put forth on how such these giant blocks were put in place to create the perfect pyramid. One theory tells us that a ramp, straight or spiral, was raised as the construction carried on. These ramps helped in pushing up the blocks into place. The entrance to the great pyramid is on the north. 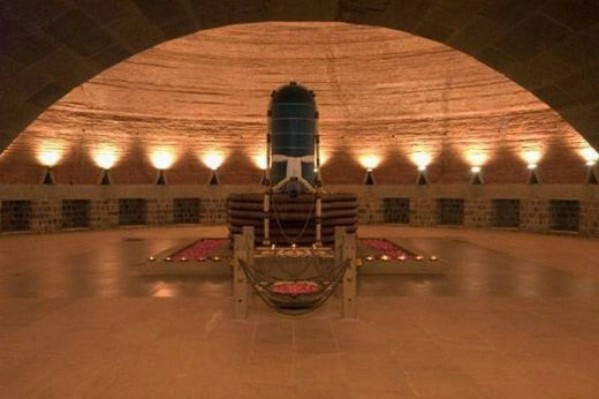 The pyramid contains four chambers. The King’s Chamber, lying at a height identified with the pyramid’s center, can be reached only through a narrow passage located at the northern face. A number of corridors, galleries and airshafts lead to the chamber. These pyramids served as burial places for the Egyptian Kings known as pharaohs. A series of other chambers are found above the King’s chamber. Each side of the Great Pyramid rises at an angle of 51 degrees 51 minutes to the top. Not only that, each of the sides are aligned almost exactly with true north, south, east, and west. 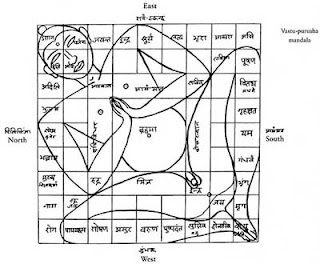 Vastu texts consider the proper orientation to the cardinal directions as of great significance while referring to the Yoni aspect of the Ayadi Shadvargas. 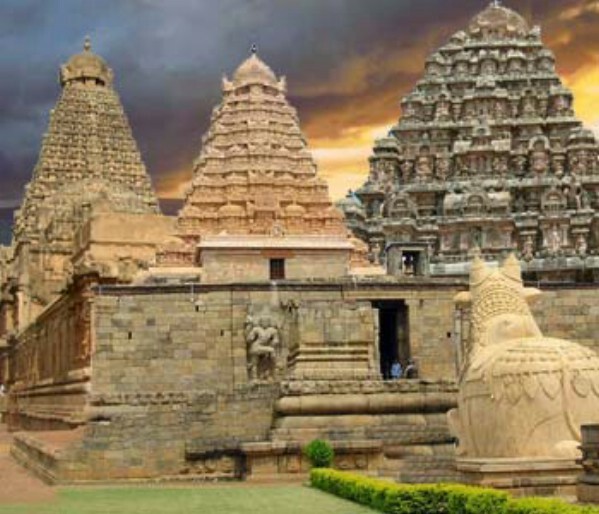 There are many similarities between the Hindu Shikaras and the Egyptian pyramids. We have referred to Step pyramids. 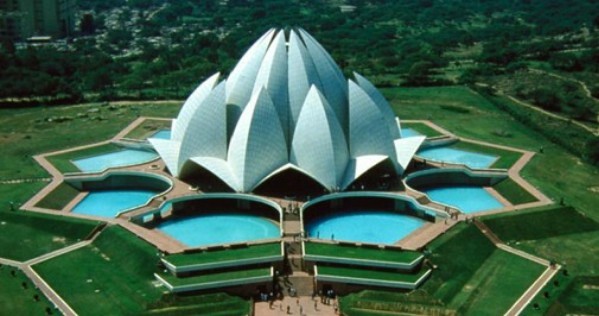 In fact, they are similar to the shikaras with the diminishing storeys that is considered in Vastu Shastra. While the Shikaras drew the cosmic energies into the garbagriha to flood the sanctum sanctorum with divinity, the pyramids drew the cosmic energies to preserve the bodies of the Pharoah Kings who were considered divine. In the villages of India, we even find huts that have tops in the shape of pyramids. It is interesting to note that while pyramids are said to keep foodstuff fresh, the prasadams and other offerings in the garbhagriha or sanctum sanctorum of a temple also remain fresh for a long time. Whether you call it a shikara or pyramid, it is a fact that the shape of these structures influences the flow of energy from the universe and this energy helps in enhancing the overall quality of our life. 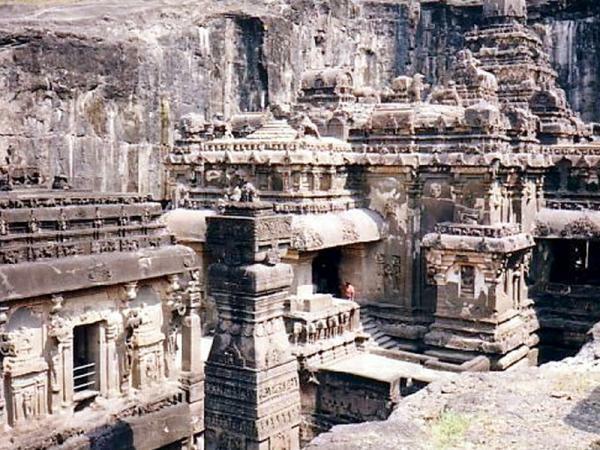 The most important thing to recognize is that many of their architectural and construction features are similar to that used in Indian temples built thousands of years ago. 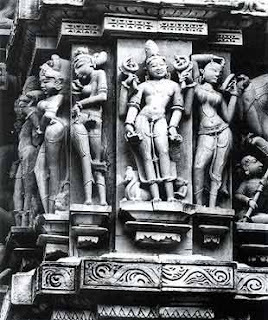 It appears that in earlier times people from Egypt and possibly from various other countries did travel to India to learn about its architectural and construction features. A look at the pyramids clearly reinforces the fact that there was a compatible interaction and understanding between the cultures of Egypt and India in the science of Vastu Shastra. 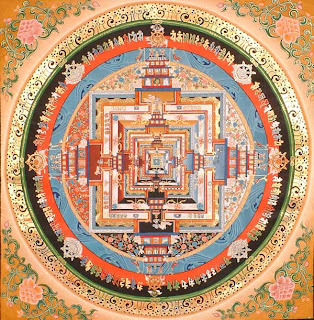 Sri Chakra in the Pyramids and in the Indian Temples assuredly channelise the bio-energy continuously. To correct the aura of an individual. To clean a place of unwanted energy interference. Toward off evil. 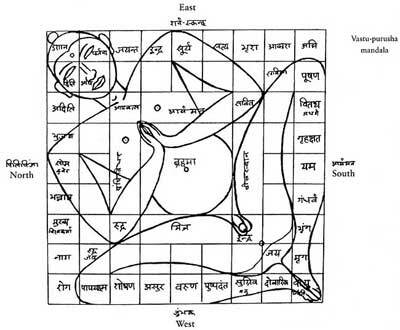 To correct vastu defects. To increase happiness and contentment. To reach one’s goal in life. Sri Chakra energised with Cosmic power in the Puja Room helps to protect the home. 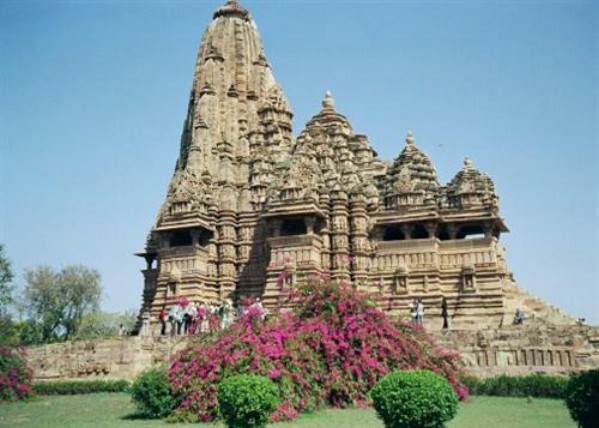 Also the benefits of visits to several Sri Chakra installed temples is captured in this specially formulated Sri Chakra. 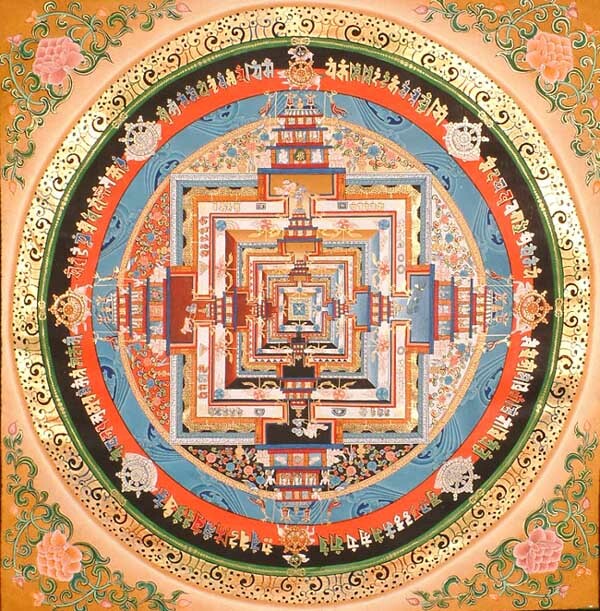 The vibration of ancient temples is now here at your home from the puja room. Our body is not only a bio-chemical entity. It is a product of bio-chemical and electro-magnetic energy fields, wrapped by protective and life sustaining bio-energy exchanges with the cosmos. The proper flow of bio-energy is ensured by this Sri Chakra. The pacified system of Sri Chakra calls for no restrictive practices or rituals. It’s very presence uitself is beneficial. 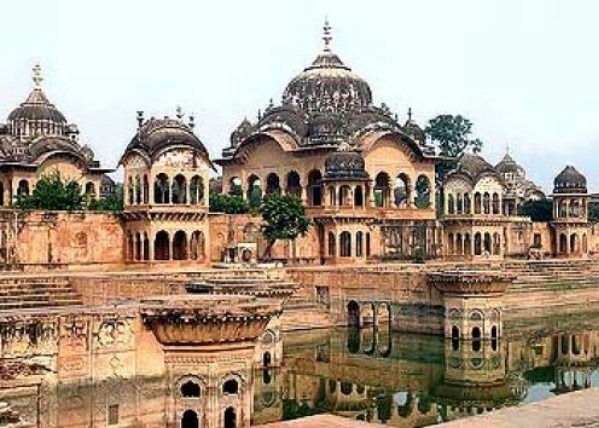 Located at a distance of 15 km from Mathura in the state of Uttar Pradesh, Vrindavan is another major place of pilgrimage among the Hindus. 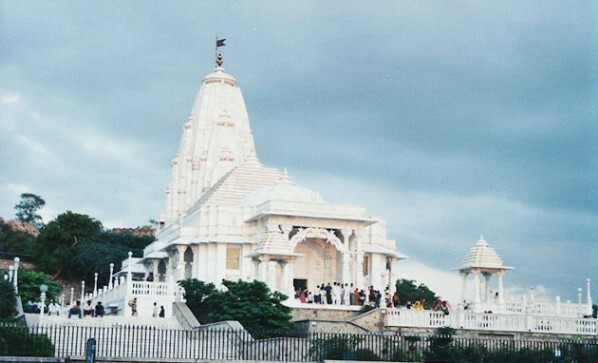 Also known as Vrindaban, Brindavan, or Brindavana, or Brindaban, this holy place is the site of the original forest or forested region, in which Lord Krishna spent his childhood. 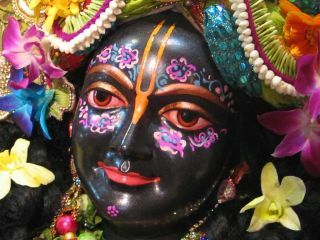 It is believed that Lord Krishna was raised there in the cow-herding village of Gokula by His foster parents. 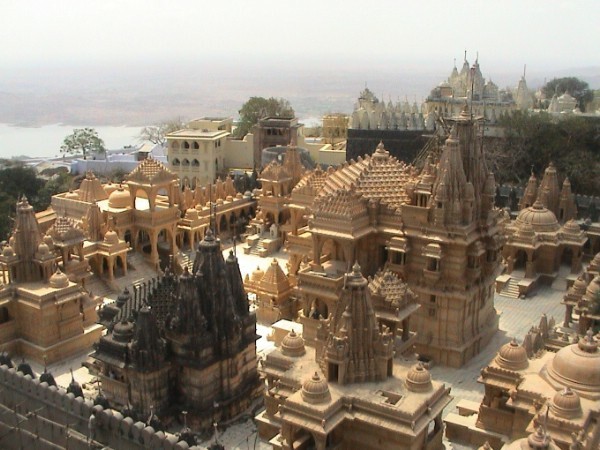 Vrindavan is today famous for its numerous temples-both old and new. 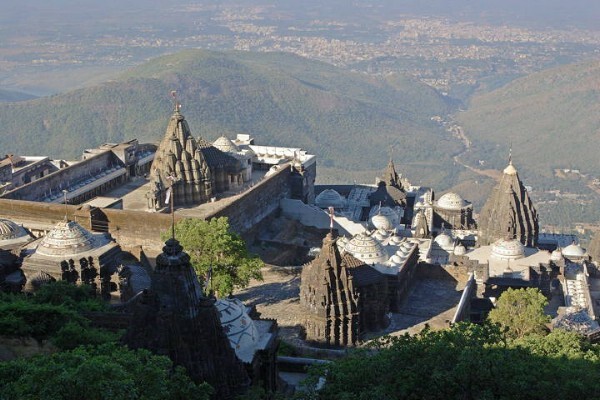 Considered to be the abode of Lord Krishna, it is one of India's most holiest cities with more than 5000 temples dedicated to Lord Krishna. 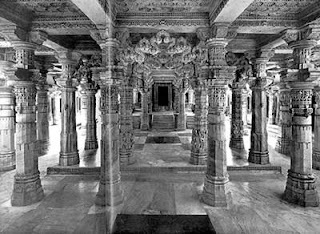 Banke-Bihari Temple - Built in 1864, the Banke-Bihari Temple is the most popular shrine at Vrindavan. The image of Banke-Bihari was discovered in Nidhi Vana by Swami Haridas, the great Krishna devotee, belonging to the Nimbarka sect. Vishram Ghat - It is the most important bathing ghat in Mathura. 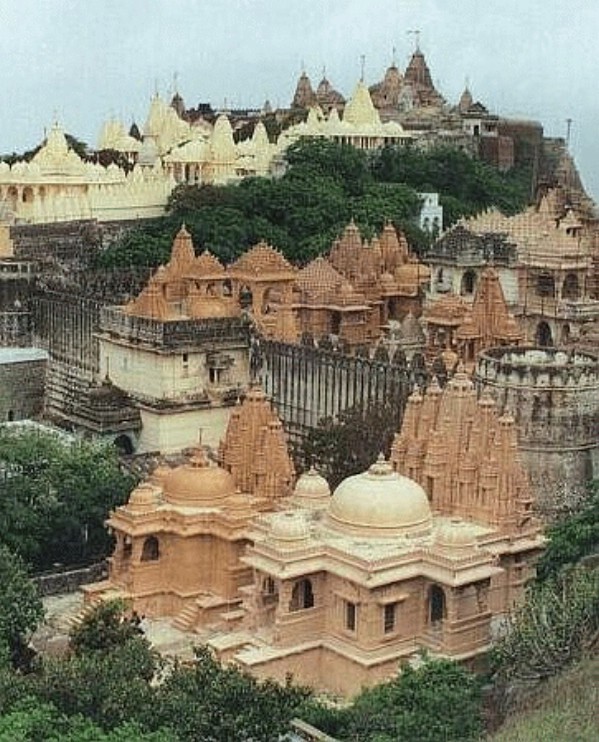 Lord Krishna is said to have rested here after killing Kamsa, the tyrant king of Mathura. The 'Aarti' being offered in the morning and evening at the riverside is a visual treat to the eyes. It is believed that bathing in the Yamuna on the second day of Kartik is very meritorious which is known as Yama Dwitiya. Radha Govindaji Temple - Built in 1590, this ancient temple of Vrindavan has a number of fascinating stories to tell. The original Govindaji Deity was removed from this temple and kept in Jaipur when Mughal Emperor Aurangzeb tried to destroy it. 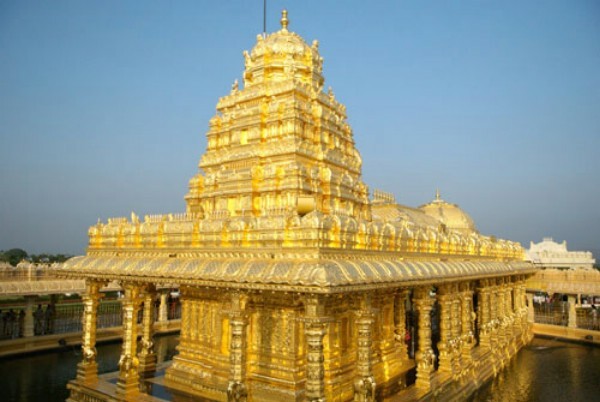 This magnificent temple houses a spectacular marble altar adorned with gold and silver and hold the idols of Govindaji in the middle, Lord Chaitanya to His left and Lord Nityananda to His right. A sculptured lotus flower weighing several tons decorates the main hall of the temple and demands a careful look from your side. Madan Mohan Temple - The Madan Mohan Temple located near the Kali Ghat, built by Kapur Ram Das of Multan. 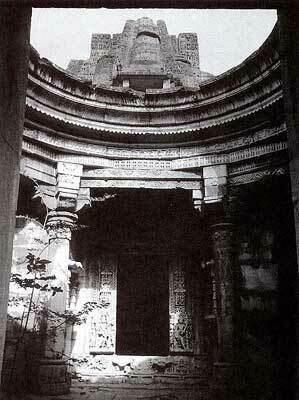 This is the oldest existing temple in Vrindavan today. 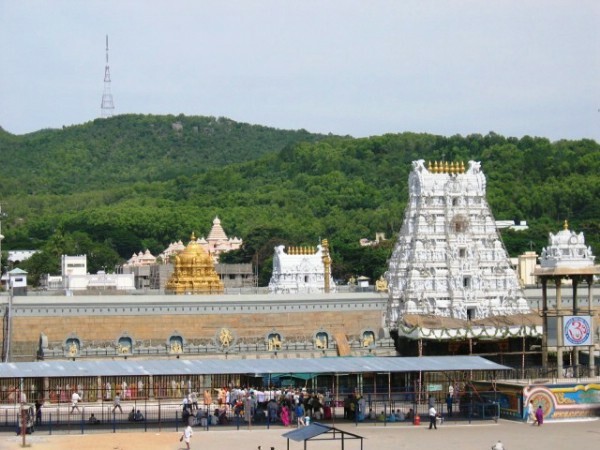 The temple is closely associated with the saint Chaitanya. The original idol of Lord Madan Gopal was shifted from the shrine to Karauli in Rajasthan for safe keeping, during Aurangzeb's rule. Today, a replica of the image is worshipped at the temple. 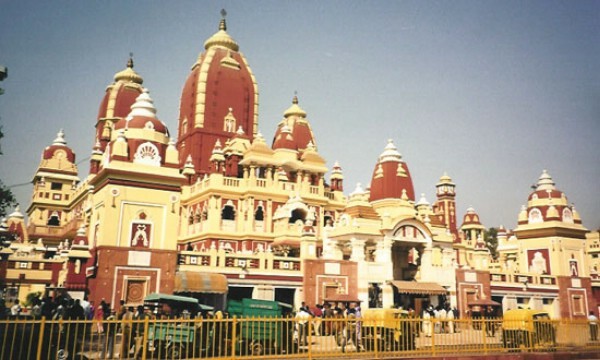 Sri Radha Raman Mandir - The Deity of Sri Radha-Raman (one of the few original Deities still left in Vrindavana) was installed here by Srila Gopal Bhatta Dasa Goswami. 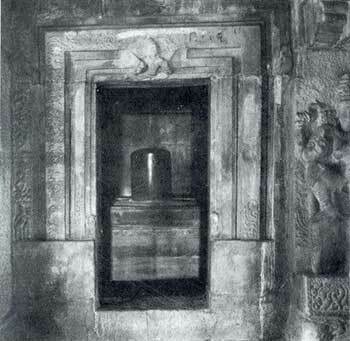 The Deity manifested from one of the Goswami's shaligram-shilas in 1542. Gopal Bhatta also brought Caitanya Mahaprabhu's kaupina (cloth) and asana (seat ) back from Puri. These can be seen three to four times a year. 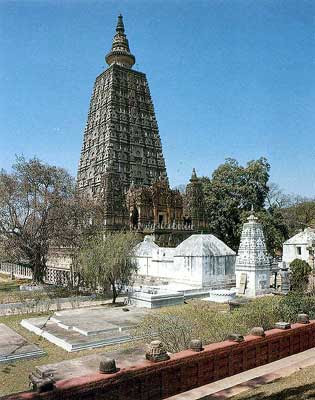 Gopal Batta's Samadhi is located here. The fires for cooking in the temple kitchen have been burning continuously since the Deity was installed over 435 years ago. ISKCON Temple - Located within the Krishna-Baldev Temple premises, the temple wall is adorned with exquisite paintings and carvings depicting the life of Lord Krishna. 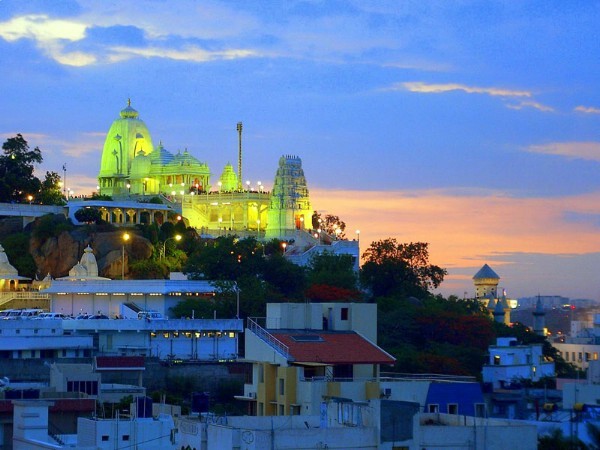 Beautiful architecture, carved arches and immense spirituality make the place a divine destination in Vrindavan. Be prepared to listen to 'Hare Krishna' as everybody you will meet inside the temple premise will greet you with these two words. Yamuna River - The Yamuna river flows through Vrindavan and Mathura. 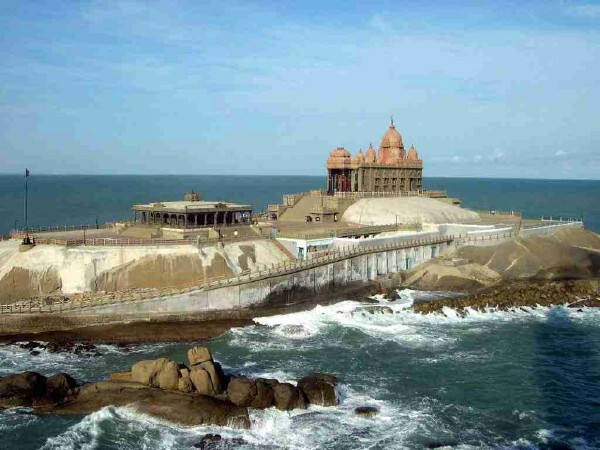 It is the most sacred river in India as it is so intimately connected with Krishna's pastimes. 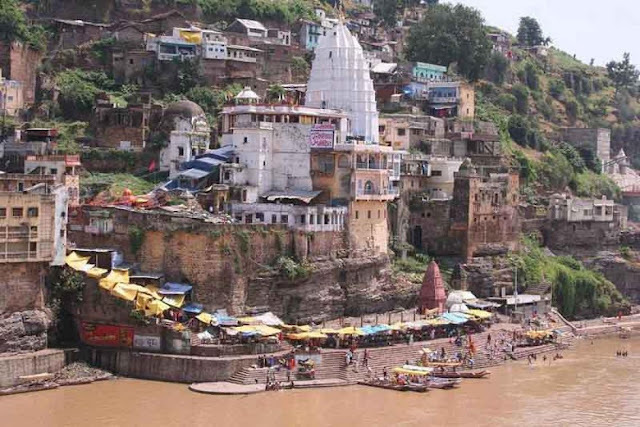 Situated on the bank of the Yamuna is the Keshi Ghat, where Krishna killed the Keshi demon and saved his friends. 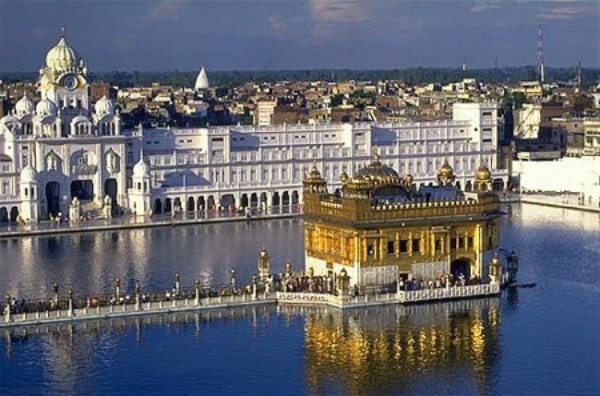 One who bathes here gets the benediction of bathing in all of the holy places. 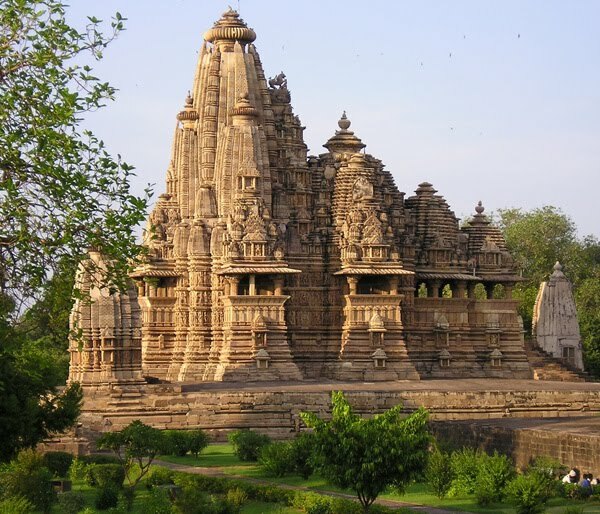 By Air - The nearest airport is Agra which is 57 km away and is well connected to Delhi, Khajuraho and Varanasi by regular flights by Indian Airlines and other private airline services. 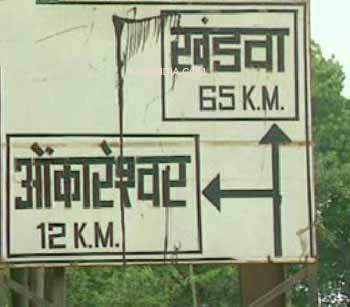 By Rail - Mathura Junction is well connected to Delhi by numerous trains including the Punjab Mail and Taj Express, to Mumbai by the August Kranti and Mumbai Rajdhani and to Kolkata by the Toofan Express. The Lucknow-Agra Express also finds Mathura in its route. By Road - Mathura and Vrindavan are well connected with Agra, Delhi, Bharatpur, Alwar and Lucknow by well maintained road. Vrindavan does not have high quality hotels. However, it has nearly 200 dharamshalas (religious hostels) that offer clean, affordable accommodation.